Registration is on a first-come, first-served basis. Tours fill up fast, so sign up today! To sign up for a tour, log back into the online Annual Meeting registration system and add the tour(s) of your choice; fax in the form on page 17 of the Annual Meeting Program Planner, or call Experient at 1-866-229-2386. Please note that no refunds will be given on tours, except in case of cancellation of the tour. AAR reserves the right to cancel tours at its discretion. This walking tour examines four sites among Atlanta’s treasure house dealing with the African American religious experience and specifically the Civil Rights struggle. The Auburn Avenue Research Library on African American Culture and History is dedicated to preserving African American heritage by providing a home to the manuscripts, photographs, oral histories, books, periodicals, and works of art that contain the history of peoples, of nations, of beliefs and dreams, and of a past worth sharing with the future. The African American Panoramic Experience (APEX) Museum interprets and presents history from an African American perspective in order to better understand and appreciate the contributions of African Americans to America. 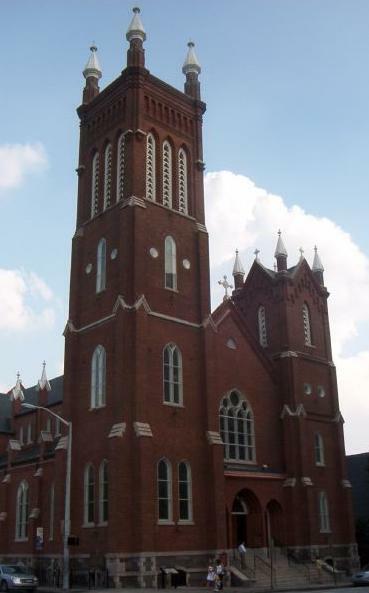 Ebenezer Baptist Church has been a spiritual home to many citizens of the “Sweet Auburn” community. After giving a trial sermon to the congregation at the age of nineteen, Martin Luther King Jr. was ordained as a minister, where he remained until his death. The King Center utilizes diverse communications media to educate people all over the world about King’s life, work, and his philosophy and methods of nonviolent conflict reconciliation and social change. The BAPS Shri Swaminarayan Mandir is the largest Hindu temple of its kind outside of India. The temple boasts hand-carved stone spires that tower 75 feet. More than 12,300 tons of stone was quarried and shipped to the craftsmen in India. Then, the nearly 35,000 pieces were shipped to Atlanta, where more than 900 volunteers dedicated their time in putting this marvel together. Drepung Loseling provides theoretical knowledge and practical training in Tibetan Buddhist scholarly traditions for Western students, scholars, and the general public and helps preserve the endangered Tibetan culture. The tour will be led by the abbot, Geshe Lobsang Tenzin Negi. This bus tour will take us to places in urban Atlanta where residents are working to address food, justice, and sustainability concerns in their communities. Tour guide Erin Croom of Georgia Organics will lead us through several sites to show how local organizations have been addressing hunger and nutrition by developing new forms of urban agriculture and garden-based education. The tour will include sites such as the Oakhurst Community Garden Project, Oakleaf Mennonite Farm, and Truly Living Well Natural Urban Farms. The Oakhurst Community Garden Project works with youth and families to develop creative skills in sustainable urban living, organic gardening, health, and nutrition. The Oakleaf Mennonite Farm is a diverse vegetable and small animal farm founded by the Berea Mennonite Church in East Atlanta with the belief that local, fresh, responsible eating is part of the Christian call to stewardship and creation care. Truly Living Well is an African-American-owned and -operated urban farm that provides food and educational services for local communities. The High Museum of Art’s collections consist of more than 11,000 pieces and include nineteenth and twentieth century American and decorative art, significant European pieces, modern and contemporary art, photography, African art, and folk art. 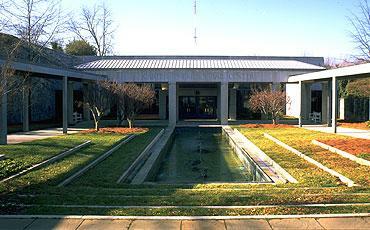 The Jimmy Carter Presidential Library and Museum is home to the presidential papers of the Carter Administration. An exhibit of significant events occurring during Carter’s life and political career includes photographs with interpretative text. Several exhibits focus on important twentieth century issues such as war and peace, disarmament, and the economy. The Michael C. Carlos Museum of Emory University houses a large collection of ancient art, with objects from ancient Egypt, Greece, Rome, the Near East, and the ancient Americas. The Museum is also home to collections of nineteenth and twentieth century African art and European and American works on paper from the Renaissance to the present day. Two special exhibitions on display are Traces of the Calligrapher: Islamic Calligraphy in Practice, 1600–1900 and Writing the Word of God: Calligraphy and the Qur’an. Oakland, founded in 1850, exemplifies the nineteenth century “rural garden” cemetery movement. 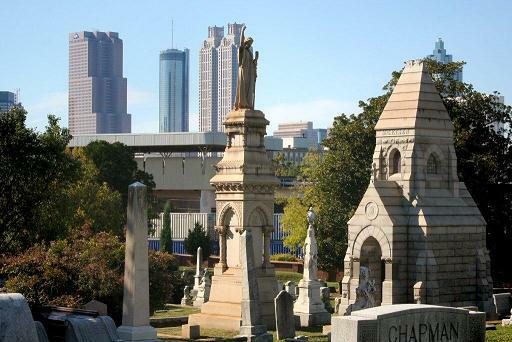 It is the final resting place of many of Atlanta’s most noted citizens. It is also a showplace of sculpture and architecture, and a botanical preserve with ancient oaks and magnolias. Here in this peaceful place the full scope of the city’s rich and fascinating history unfolds before you. Pitts Theology Library houses many distinguished collections of theological materials, including the English Religious History Collection; the Richard C. Kessler Reformation Collection on the Protestant Reformation in Germany; the English and American Hymnody and Psalmody Collection; and the North European Theological Dissertations Collection. Your guide is a member of the library staff. This religious sites tour explores four sites exemplifying the rich diversity of Atlanta’s religious communities. The Catholic Shrine of Immaculate Conception is the second oldest structure in downtown. It was completed and dedicated in 1873 and is still in use. It replaced a frame structure on the same site that was famously saved from the burning of the city in 1864. Buckhead Church is an in-town campus of North Point Ministries located in the Buckhead neighborhood of Atlanta. Approximately 5,000 people are in attendance every Sunday. The church is an innovator in the use of technology among multi-site churches. The sermon each week is delivered virtually from North Point’s home campus in Alpharetta, GA, and the senior minister, Andy Stanley, appears via hologram in the Buckhead Church. 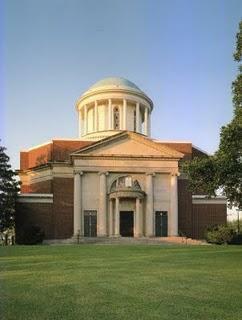 The Temple is the oldest Jewish congregation in Atlanta, established in 1860. 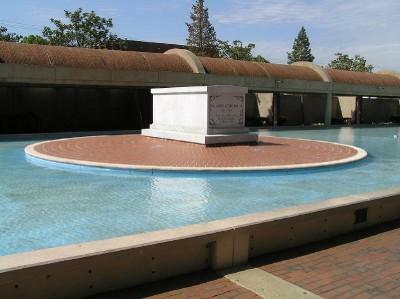 During the 1950s and 1960s it became a center for civil rights advocacy. In response, white supremacists bombed The Temple in 1958. Atlanta Journal-Constitution editor Ralph McGill’s outraged front-page column on The Temple bombing won a Pulitzer Prize for commentary. Al-Farooq Masjid was established in 1980, and at the time it was one of only a few mosques in the Southeast. Today, the mosque is one of nearly thirty-five in Metro Atlanta, and it attracts Muslims from over fifty countries, including Nigeria, Ghana, Saudi Arabia, Egypt, India, Pakistan, Bangladesh, Malaysia, and from all across the United States. The Museum’s extraordinarily vivid exhibitions use the personal remembrances of Atlantans to explain seminal moments in the Jewish experience. Creating Community tells the story of Atlanta Jews creating and experiencing community. Absence of Humanity tells the story of the Holocaust through historical photographs and documents, personal memorabilia and family pictures, and in the voices of those who survived and made new lives in Atlanta. 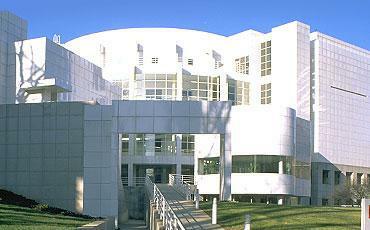 The Yerkes National Primate Research Center of Emory University is an international leader in biomedical and behavioral research. Thus the Center provides a critical link between research with small laboratory animals and clinical trials with humans. Yerkes Research Center is dedicated to advancing scientific understanding of primate biology, behavior, veterinary care, and conservation. The tour will be led by Yerkes Director and AAR Plenary speaker Frans de Waal.